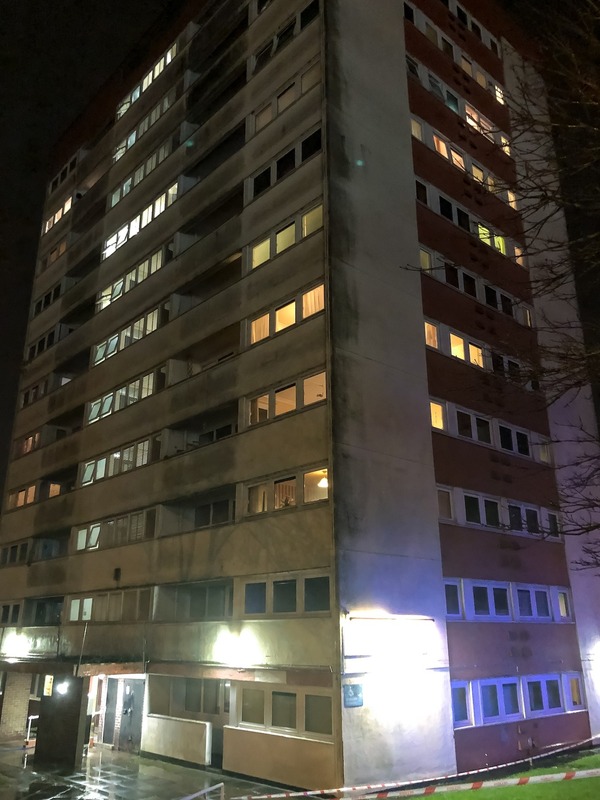 Emergency services attended a flat fire in a tower block in Kings Norton yesterday evening (Saturday 26th January). 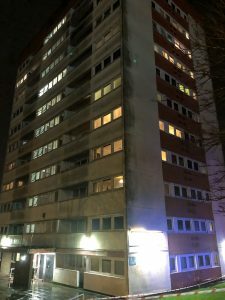 Services were alerted at around 7pm to a kitchen fire on the 8th floor of Hobbis House, at the corner of Rednal Road and Redditch Road, close to the Man on the Moon pub. 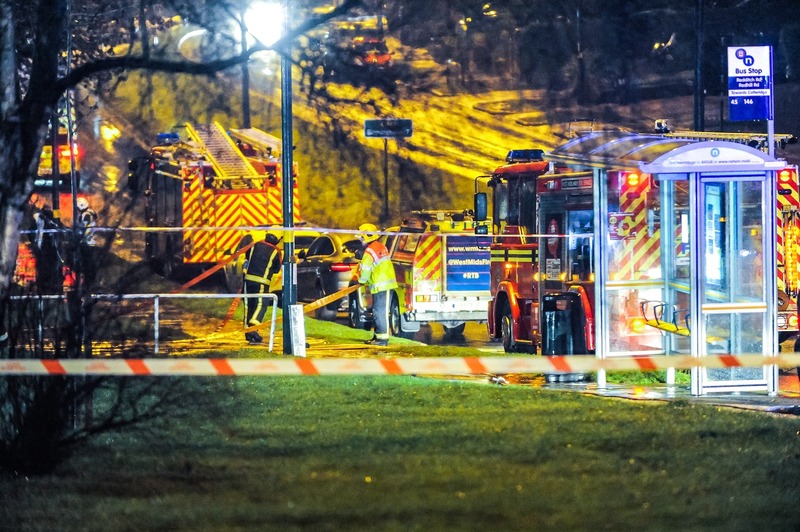 Six West Midlands Fire Service appliances and a number of West Midlands Ambulance Service and West Midlands Police assets attended the scene. One occupant was led away by firefighters, having suffered smoke inhalation. Some other flats were affected by smoke logging.